Chinese tech giant Huawei recently unveiled its flagship smartphone, the Mate 20 Pro (review) in India. 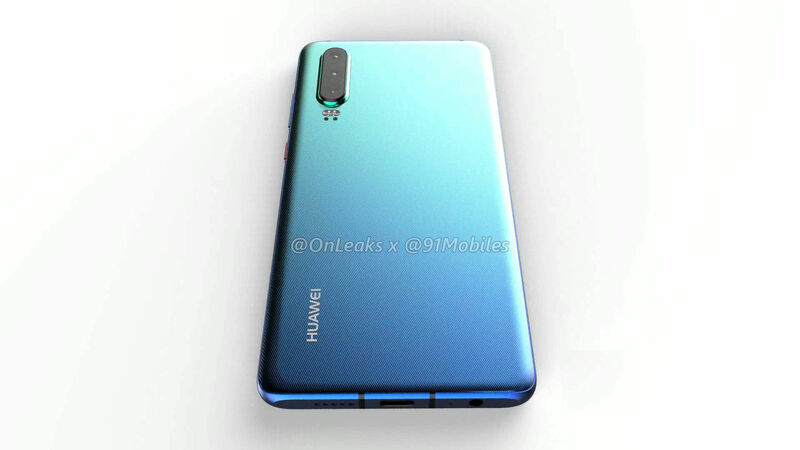 While the device has been on the shelves for only a few short months, rumours surrounding the company’s next premium device(s) are already swirling around the interweb. 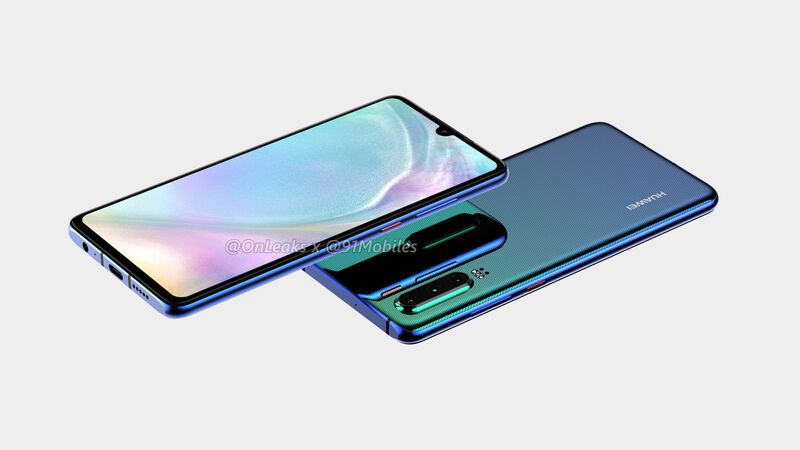 The devices in question are the P30 and the P30 Pro, which will come as the successors to last year’s P20 and P20 Pro (review). 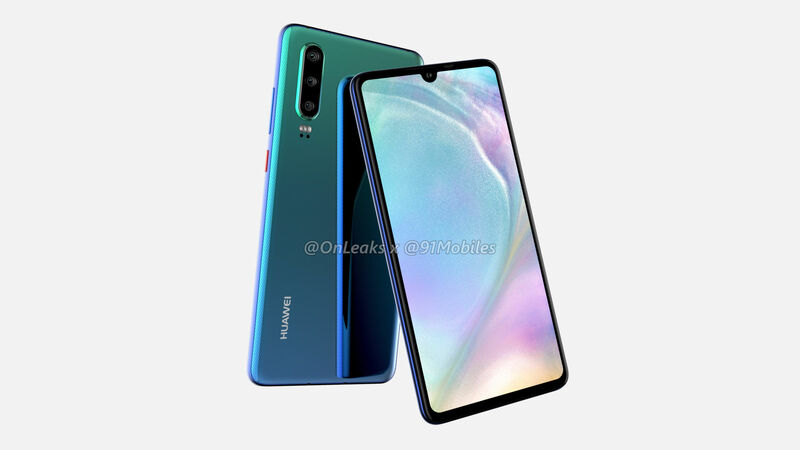 Now, 91mobiles has collaborated with noted tipster Onleaks to bring forth 5K renders and a 360-degree video showcasing the design and key details of the affordable sibling among the P30 duo, the Huawei P30. 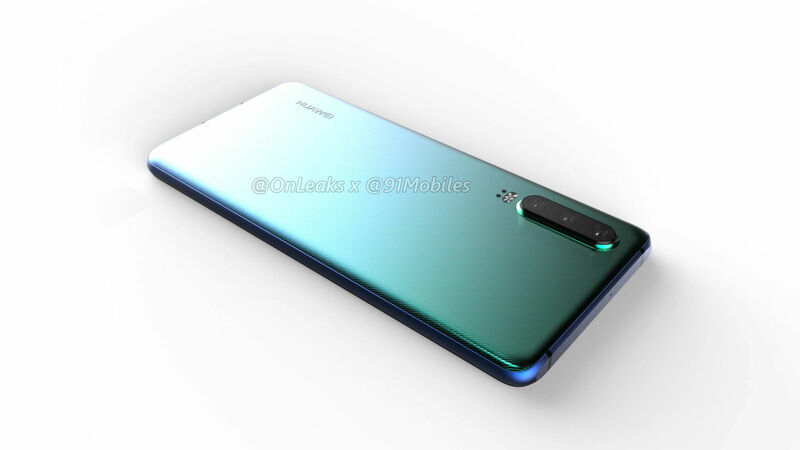 Grab your popcorn folks, and read on to know everything there is to the upcoming flagship. 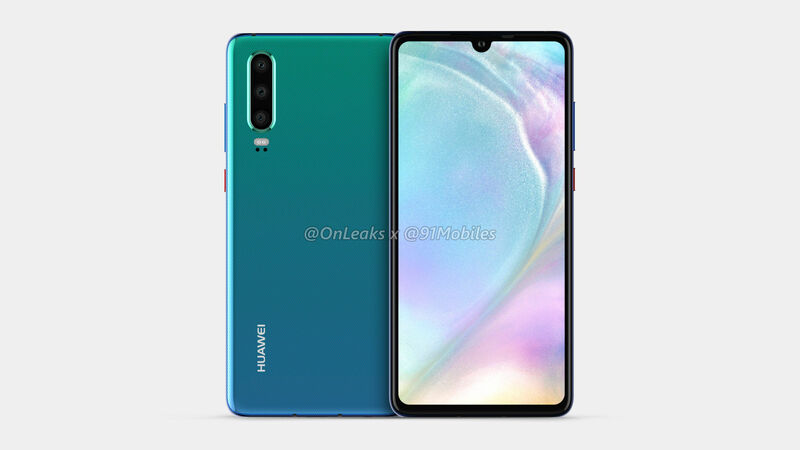 Huawei kicked off the era of gradient finish on smartphones with its P20 duo and therefore, it comes as no surprise that the brand’s forthcoming phone will also feature a distinctive colour-changing tint towards the back. 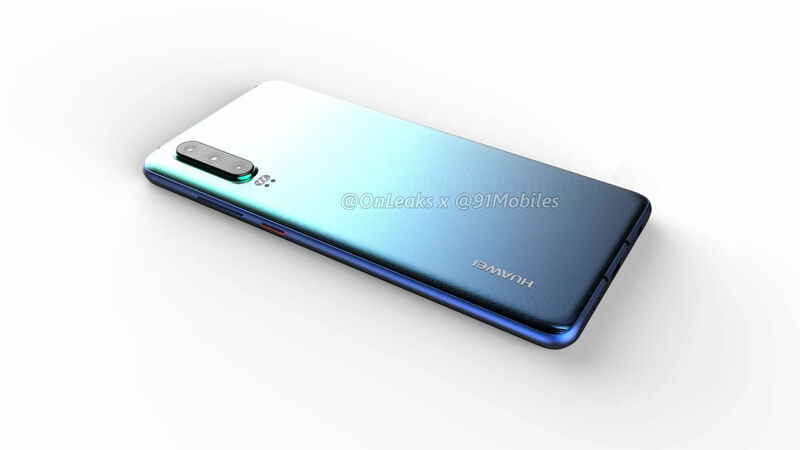 Interestingly enough, the smartphone can be seen sporting a gradiented finish on the back, akin to the Mate 20 Pro. 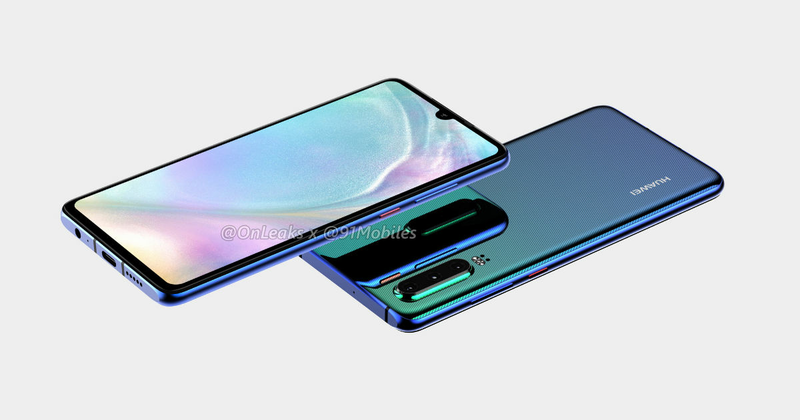 The 3D renders of the P30 also put the handset’s triple-camera setup under the spotlight, which is accompanied by a dual-tone LED flash. 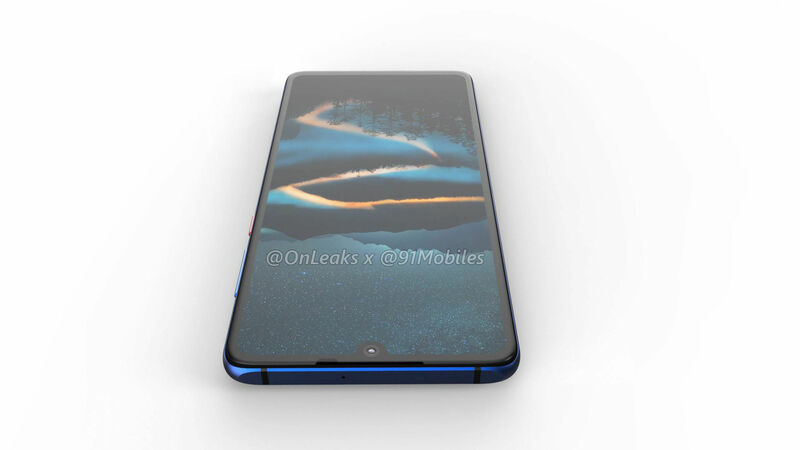 Moreover, as can be seen from the images, the device doesn’t ship with a rear-mounted fingerprint sensor so it’s safe to assume that the company might house one inside the smartphone’s display. 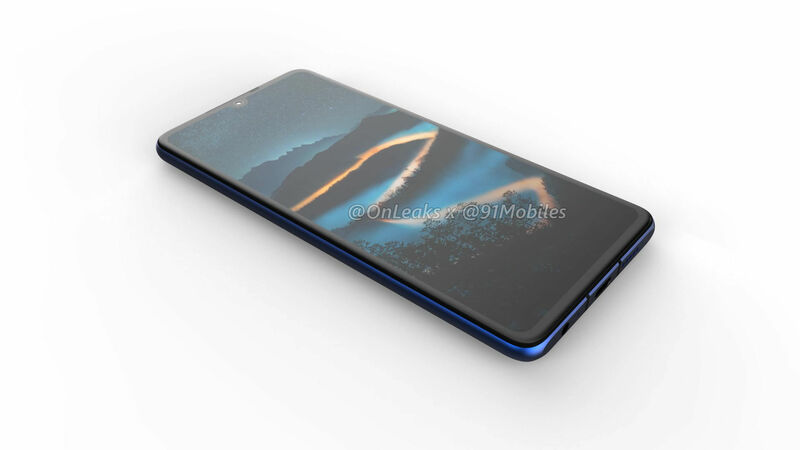 Speaking of which, the front of the P30 is dominated by a massive display, roughly 6-inches in size with sleek bezels and a water-drop notch positioned at the centre to house the selfie camera. As far as the dimensions are concerned, the phone measures 149.1 x 71.4 x 7.5mm. However, with the camera bump factored in, the P30’s girth increases from 7.5mm to 9.3mm. For ports and buttons, the P30 ships with a coloured power button and volume rocker on its right-hand spine. 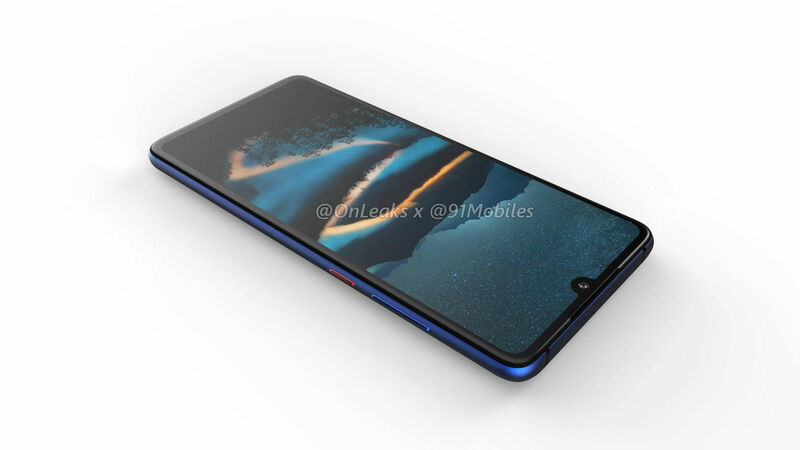 The smartphone features a USB Type-C port which has been positioned at the bottom, sandwiched between the speaker grille and much to everyone’s surprise, a 3.5mm headphone jack. Huawei has taken mobile photography by storm with its recent flagships. 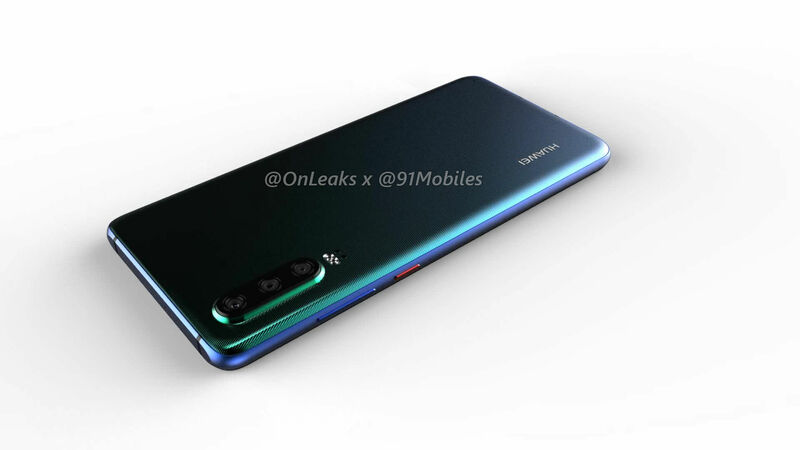 The company’s next-gen P30 is also said to offer impressive camera prowess, and is expected to debut with a 38MP RGB sensor from Sony capable of 5X optical zoom. 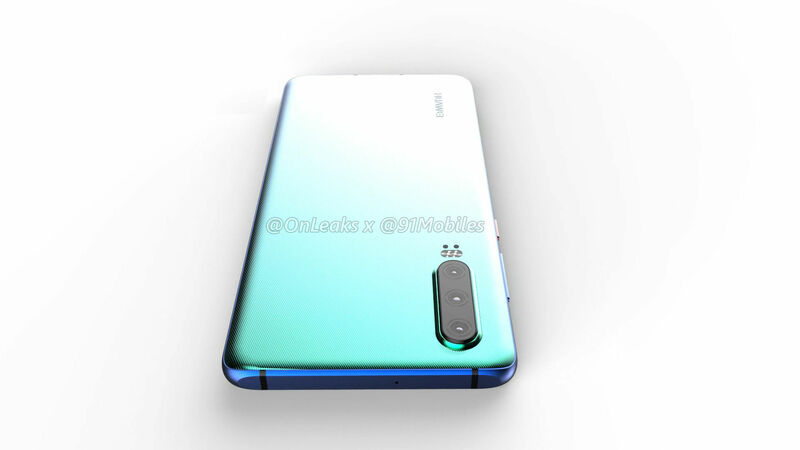 As per rumours, the smartphone will feature a 24MP selfie shooter and prospective buyers can expect the company to employ AI to better the shots taken from both, the front as well as the rear-facing camera modules. 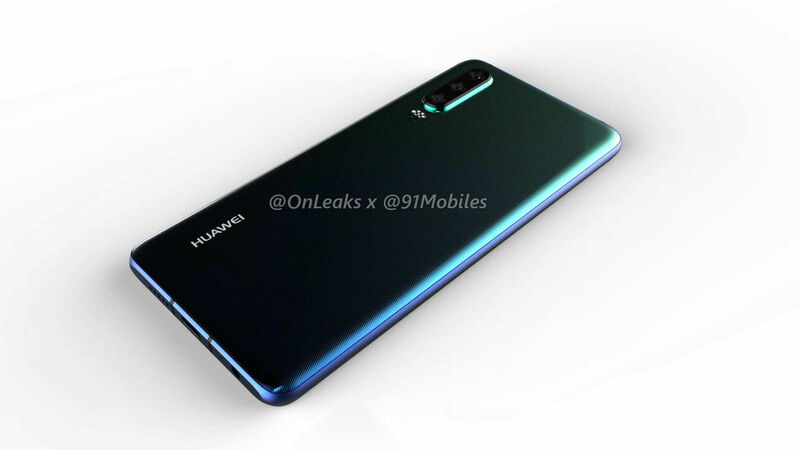 Seeing how the company uses its in-house chips to power its devices, the Huawei P30 will presumably be fuelled by the brand’s latest Kirin 980 SoC. 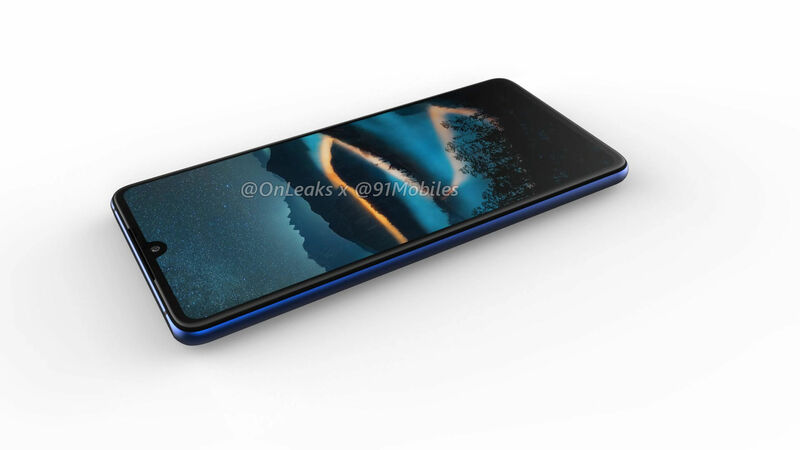 The handset is also expected to run the latest version of Android Pie out of the box with a layer of the EMUI 9.0 skin on top. 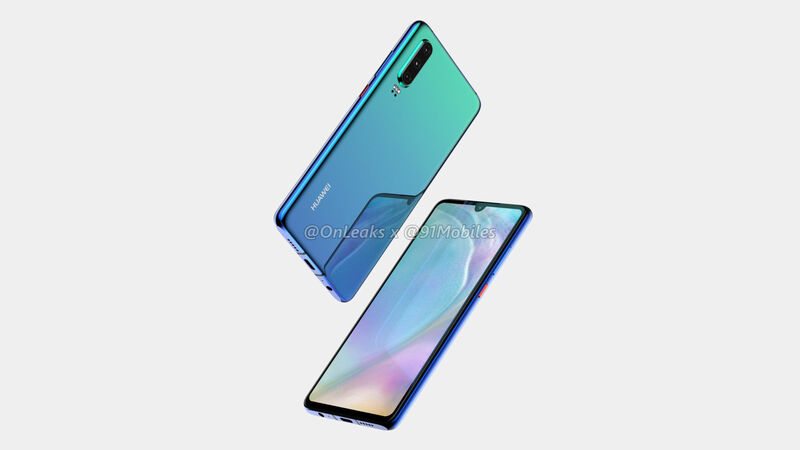 Lastly, we can speculate that the smartphone will ship in two different storage sizes of 128GB and 256GB, which will be paired with 6GB and 8GB of RAM respectively. 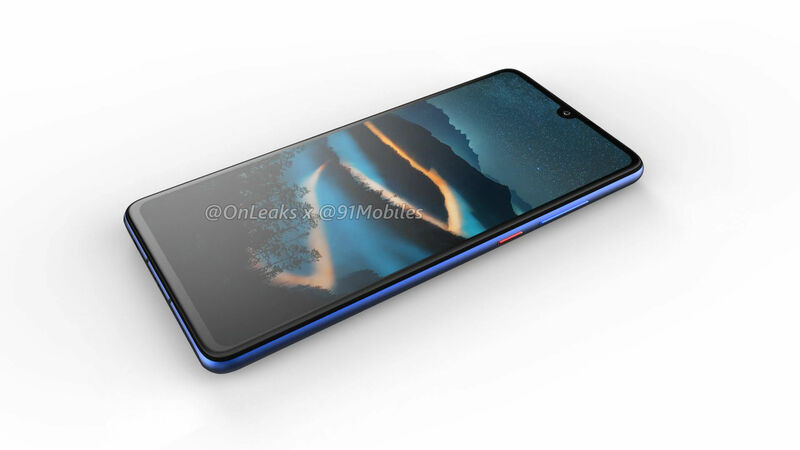 Sadly, there’s no information on the battery capacity of the P30. Unfortunately, there’s no information on the smartphone’s rumoured pricing. 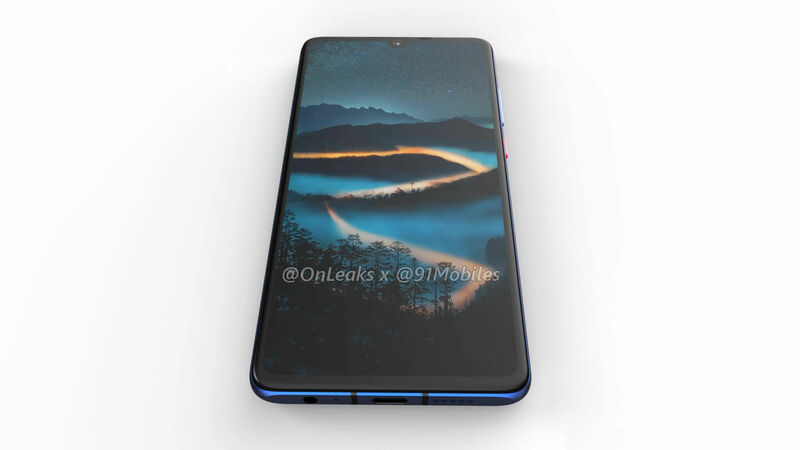 However, seeing how the company has confirmed its attendance at MWC 2019, we can expect the P30 to be launched sooner than later.